Celtic mandala silk scarf with orange and red pattern. 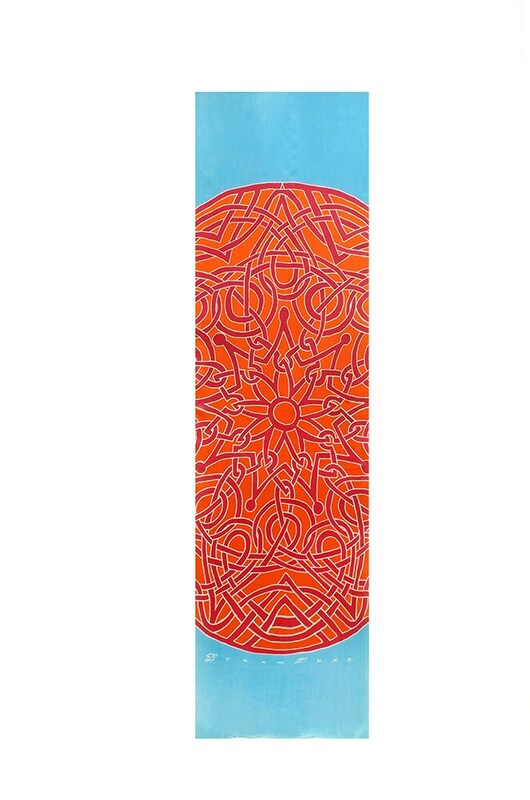 Large colorful silk scarf hand painted mandala with a Celtic knot pattern painted in red, orange and turquoise. This hand painted silk scarf is a stylish, lightweight scarf for any season.